Silviu Stoica is a partner with Popovici Nițu Stoica & Asociații. 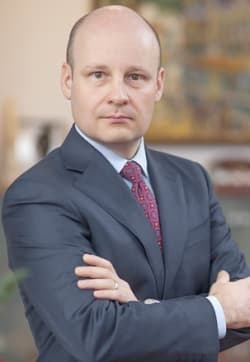 His practice focuses on a broad range of contentious and non-contentious competition matters, with an emphasis on cartel investigations and industry inquiries, abuses of dominant position and antitrust disputes. Mr Stoica also advises clients on restrictive agreements and works closely with in-house corporate counsels in sensitive internal compliance reviews. Mr Stoica also has wide experience in advising private equity funds and strategic investors, in relation to mergers and acquisitions. Mr Stoica has been commended in Chambers Europe as a ‘strategic and realistic’ competition lawyer who is ‘business-friendly and very easy to communicate with’. Silviu Stoica holds a degree in law from the University of Bucharest Faculty of Law and is a member of the Bucharest Bar Association. Mr Stoica attended a course on US legal methods – introduction to US law at the Institute for US Law in Washington, DC – and the International Development Law Organization development lawyers course (DLC-20E) in Rome.